It is undoubtedly challenging to keep the house clean all the time. Dirt, germs and pesky allergens can be spread all over your home. If you have furry friends, your rooms may be even dirtier. They often bring in mud, pollen, and grime from playing outdoors. Even worse, kitchen counters also can be a breeding ground for microbes from meat, eggs, or dairy. If you are enough of constantly dirty living space, it's time to enrich the cleaning arsenal. Our recommendation for you is a steam cleaner. How a steam cleaner can help you ? A steam cleaner will make a significant shift in the way you clean your home. Moreover, it will help you turn a messy house into an always clean one. They are completely different from vacuum cleaners and brooms. In opposite of them, steam cleaners clean, disinfect, and dry home surfaces using good, old-fashioned steam. They’ll tackle all the stubborn, not-removable stains from floors, upholstery, and carpets. Finally, you can stay away from dirty work; they'll do it for you. With this helper, you can put minimal effort into keeping your house clean. Since there are so many kinds of steam cleaners, you may find it hard to choose the right model. Before buying, there are some factors it might be cleaver to consider. Not all steam cleaners are created for the same use. 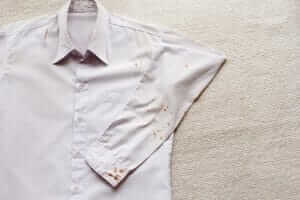 While some of them have the only function to sanitize spaces, others only remove stains. Additionally, there are steam cleaners with both or a few more capabilities, which is even better for convenience and quality. Not all the steam cleaners are adequate for all kinds of surfaces. While there are specific steam cleaners made for hardwood floors, others are better for upholstery or carpets. There are different models specialized for other surfaces. First of all, consider in advance your household surfaces that you will often clean with a steam cleaner to avoid stress during the cleaning. Also, the size is an important factor when deciding about which steam cleaner to buy. You certainly want to choose the adequately sized one for your house and the convenience. If you live in a small apartment and going to use it to tackle messes, spills, and stains, the right choice would be a handheld steam cleaner. In contrast, if you live in a big house, you probably have to clean multiple surfaces, so choose a machine that has the options you need. Above all, one of the points of buying a steam cleaner is to save you time, not to make you spend even more time handling it. It should be easy to use. So, skip steam cleaners which seem complicated to manage, and rather look for some other. Easy maintenance and setup are what you're looking for. A steam cleaner is not a cheap appliance. Before you decide on a certain model, consider if it comes with a warranty and what does it cover. Although that can seem as irrelevant thing while your appliance works properly, a guarantee can be a significant plus if there shows up a problem. Keep in mind that guarantees are not always included. Maybe you need to sanitize spaces, or you would like to remove stains. Or maybe your rooms just need to be deodorized. Whatever you're going to use it for, there is the right steam cleaner for you out there. Here is the list of our top nine steam cleaners. The weight of the steam cleaner is important in making the buying decision. Everybody needs something that suits their specific needs. Indeed, nobody wants to carry a large and heavy machine around the house every single time while cleaning. On the other hand, not everybody wants to compromise about the power of the device. Choose the model powerful enough for the size of your space. Also, the additional tools and the accessories included are important because that can be crucial for functions of the appliance. Besides that, you'll find the information about the warranty in this table - it would be wise to check it before the final decision. Last but not least, you'll want to consider for which surfaces you can use your steam cleaner. And, finally,you'll decide on which model is most suitable for your home. Choosing this product, you'll get two handheld appliances in one. Consequently, it will make your cleaning almost double easier and faster. Besides a large number of functions of this very popular mop, the one which stands out is the simplicity of use. It's certainly the easiest way to clean floors. Light N' Easy is a gadget with the powerful steam flow and a comfortable handle which makes the moping easy. For those reasons, this device is certainly far mmightier than an average mop. Thanks to a cable long 20 foot, it allows you to move comfortably as you are cleaning. If you don't want to carry the entire machine around, you can use the detachable handheld steamer. Besides that, you can use it to clean a wide range of surfaces, kitchen appliances or upholstery for example. The capacity of the liquid reservoir is enough for a 25 minutes cleaning session if the temperature is set to the lowest level. Because the hot steam is enough to remove almost all the microbes, you don't have to use any detergent for cleaning the floor. In summary, customers find this mop very easy for use, and extremely efficient for such a small machine. Don't let its simplicity bluff you. Even though it's small size, this is a powerful appliance, and it makes cleaning floors easy, and chemical-free. Big messes demand a powerful machine. If an extended cleaning session with a lot of scrubbing and disinfecting is waiting for you, this steam cleaner is the right choice. Because it comes with 18 parts toolkit, you will have the solution for any cleaning challenge. Consequently, this device is adequate for different household surfaces such as tiles, carpets, hardwood floors, linoleum, etc. You don't have to tackle a big mess on your own anymore. It affords you a 45 minutes cleaning session, and it has a switch which regulates steam flow. Hence you don't have to press it all the time. 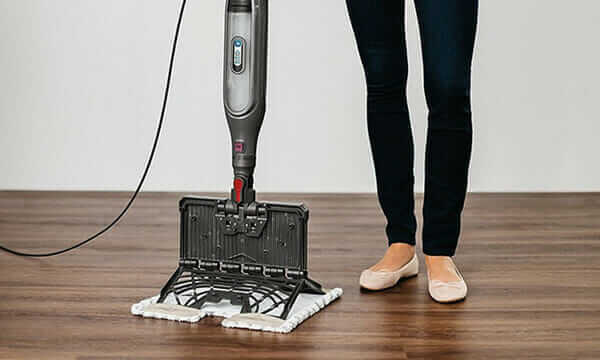 What is unusual about this model is that it comes with accessories for every possible convenience - you'll get special brushes or attachments for each kind of spills, stains and different surfaces. Finally, for any possible problem which could arise during proper use, you'll get two years of warranty. This machine is irreplaceable when you have a big mess on your hands. Therefore, customers call a lifesaver. McCulloch’s MC1275 is a great companion and helper to combat through large messes. With this steam cleaner, you can keep small spaces clean and sanitized. Therefore, it's ideal for hardly reachable places, such as tubes and corners, or for disinfecting mattress, treat spills, grimes or mold. Above all, it stands out by producing 30 percent more steam than the other steam cleaners. With this model, you'll get nine additional tools for every purpose - cleaning windows, removing dirt, dust and other. Five years of warranty guarantee that it will serve you a long time - it can be fixed or replaced after the technician inspects it. In general, users are satisfied with the ease of use and finally reaching small, hard-to-reach places. PurSteam’s Handheld Pressurized Steam Cleaner is perfect for keeping small areas free of bacteria and dirt. If you're searching for the solution adequate for floors and other surfaces, this is the right choice. It's functional and easy to use thanks to its ability to transform into a handheld device by detaching the mop head. It has 2-sides pads made of microfiber for cleaning floors. If we compare it to a standard steam cleaner, this steam mop is not so agile, but it's certainly an easy and fast way to sanitize space. Not so agile as a standard steam cleaner. If you're searching for a multifunctional appliance to keep your home fresh and clean, this model is an excellent choice. If you need a small, compact yet powerful machine, which gives you the best bang for your bucks, this is the right one for you. If you're looking for easy to use, handheld steam cleaner for quick jobs and small surfaces, such as kitchen counters, this model is a perfect choice. This device comes with accessories for many functions. On the other hand, when it comes to more extended cleaning sessions, due to its small size, you'll have to refill it often. Customers like that this device is easy to handle, especially for quick, small jobs. Some of them complain about low steam power, but most people find that value and the price of this appliance are in perfect balance. Due to the short runtime, if you use it for extended cleaning, you’ll have to fill it often and wait for it to heat up before you can move on with the job. To sum up, a great choice for a handheld steam cleaner for quick jobs. If you don't have much time for cleaning or you are always in a rush to vacuum before cleaning, this 2 in 1 unit is a perfect fit for you. This machine has two options, which you can use separately or combined for double functional cleaning. It vacuums up dust and dirt or sanitizes with the steam. Although this cheap vacuum may not be so powerful as standalone ones, it's enough for quick pickups before cleaning with steam. Its double duty saves your energy and leaves you time for more important things. Pet owners agree this device is a lifesaver because of furry friend's hair can be a real nightmare while steam cleaning. The power of the vacuum isn't so strong as in an ordinary vacuum, but it's sufficient for a quick clean before steaming. Lower energy than in a standalone vacuum. Double function of this device will save your time and make your life easier, using its energy instead of yours. It's recommended for those who are searching for the right way to keep their hard floor surfaces clean and revitalized. It's suitable for hardwood floors, tiles, laminate floor cleaner, and other household surfaces. Besides reusable microfiber pads, it uses vibration technology for scrubbing dirt. That's the function that set this model apart from others and makes it shine when it's about cleaning floors. Besides that, it comes with different accessories for multi cleaning purposes. A few users complained that some parts broke or melt, but it's easily solvable - the manufacturer replaces those parts. Siena Luna System is the perfect choice for your hard floor surfaces. It's a great choice if you wish a steam cleaner you can use on a hard and a carpeted surfaces. With the weight of just 5 pounds, this device is easy for handling. It comes with pads made of microfiber, which can be replaced, and a triangular plastic glider, excellent for cleaning corners. It's known as pricey, but also as an excellent tool to refresh your carpets. As you can use it for soft, but also hard surfaces, you won't have to make pauses to change the tool while cleaning. As all steam cleaners, it kills almost all microbes in your home. The customers love that O-Cedar Steam Mop heats up fast, but it's hard to say is there any water in the water tank, is it almost empty or full. In spite of that, it's very loved model because you don't have to stop cleaning to switch to another appliance for another kind of surface. If you want to clean hard and carpeted surfaces all at once, without switching the tool, this is a perfect choice. This little device can replace a large steam cleaner when it's about spot cleaning. Despite not being an officially steam cleaner, it uses the hot water power and can be used as its portable version. You can use it to remove stains from carpets, cushions, curtains, or any small task you don't want to pull out a big and heavy steam cleaner. Its design is functional and simple; there are two tanks and a heater for water. It's excellent in tackling small messes and stains. Although customers in general love how this device tackle stains even after some time, some of the users, however, noticed an unpleasant smell from the device. Fortunately, this problem can be avoided by keeping the machine clean and empty when it's not in use. It’s not suitable for bigger tasks and large surfaces. This is an excellent solution for replacing a full-sized steam cleaner for finishing small tasks.